Christians are set apart in a covenant relationship with God. We are holy, or sacred, unto Him, not because of anything we have done, but because of what Jesus has done for us. He took our punishment, saved us, sanctified us, and is preparing a place for us in Heaven. Therefore, we ought to be willing to live holy for Him while we are waiting to go home. Before we can obey this command, we need an understanding about what holiness is and what it is not. First, holiness is not having a heart that can’t be tempted to do evil. We tend to think that being holy or sanctified means that we are never tempted to sin. This simply isn’t true. Even Jesus is recorded in Scripture as being tempted, but not once did He question God’s Word or decide to sin. He remained obedient to the Father and holy in spite of the temptation. It is when we submit to temptation, or think God didn’t mean what He said, that we are hindered from being holy and we lose intimacy with God. Fortunately, God understands our struggle with temptation and will help us. Hebrews 2:18 Because he himself suffered when he was tempted, he is able to help those who are being tempted. Secondly, holiness is not having a heart that can’t sin. We need to recognize that Jesus was the only one, being completely human and completely God, who could live a life without sinning. Beyond that, the Scriptures say all have sinned and fallen short of the glory of God. Paul, a seemingly holy disciple of Christ, struggled with sin. Romans 7:15-22 I do not understand what I do. For what I want to do I do not do, but what I hate I do. And if I do what I do not want to do, I agree that the law is good. As it is, it is no longer I myself who do it, but it is sin living in me. I know that nothing good lives in me, that is, in my sinful nature. For I have the desire to do what is good, but I cannot carry it out. For what I do is not the good I want to do; no, the evil I do not want to do--this I keep on doing. Now if I do what I do not want to do, it is no longer I who do it, but it is sin living in me that does it. So I find this law at work: When I want to do good, evil is right there with me. For in my inner being I delight in God's law; but I see another law at work in the members of my body, waging war against the law of my mind and making me a prisoner of the law of sin at work within my members. What a wretched man I am! Who will rescue me from this body of death? Thanks be to God--through Jesus Christ our Lord! So then, I myself in my mind am a slave to God's law, but in the sinful nature a slave to the law of sin. From these Scriptures, we see that Paul is still struggling with sin even as he writes letters of encouragement and the truth about Christ’s love and grace to the surrounding churches. We all share the same struggle. Fortunately, Jesus Christ paid the price for all of our sins. It is not by our works but by His grace—the work of the Holy Spirit—plus faith in Jesus Christ, that we enter into a relationship with God and become holy and set free from the condemnation of sin. Paul went on to declare this good news in Romans 8. Rom 8:1-14 Therefore, there is now no condemnation for those who are in Christ Jesus, because through Christ Jesus the law of the Spirit of life set me free from the law of sin and death. For what the law was powerless to do in that it was weakened by the sinful nature, God did by sending his own Son in the likeness of sinful man to be a sin offering. And so he condemned sin in sinful man, in order that the righteous requirements of the law might be fully met in us, who do not live according to the sinful nature but according to the Spirit. Those who live according to the sinful nature have their minds set on what that nature desires; but those who live in accordance with the Spirit have their minds set on what the Spirit desires. The mind of sinful man is death, but the mind controlled by the Spirit is life and peace; the sinful mind is hostile to God. It does not submit to God's law, nor can it do so. Those controlled by the sinful nature cannot please God. You, however, are controlled not by the sinful nature but by the Spirit, if the Spirit of God lives in you. And if anyone does not have the Spirit of Christ, he does not belong to Christ. But if Christ is in you, your body is dead because of sin, yet your spirit is alive because of righteousness. And if the Spirit of him who raised Jesus from the dead is living in you, he who raised Christ from the dead will also give life to your mortal bodies through his Spirit, who lives in you. Therefore, brothers, we have an obligation--but it is not to the sinful nature, to live according to it. For if you live according to the sinful nature, you will die; but if by the Spirit you put to death the misdeeds of the body, you will live, because those who are led by the Spirit of God are sons of God. We are in a war between the Spirit and our flesh. Who will you deny—yourself or Jesus Christ? Our faith Christ determines our obedience to His Spirit, His will, and His Word. We say we have faith; however, we only do what we really believe. All the rest is religious talk, not faith. God’s will is found in His word, so we should read it and heed it. Holiness is not that we won’t ever sin again; it’s that our lifestyle should reflect our faith in Jesus. We must set our minds on what the Spirit desires, deny self, and obey His Word. Repenting, asking for forgiveness, and asking God to fill us with the Holy Spirit is the appropriate response to sin. Thirdly, holiness is not boring or a hindrance to a fascinating life. God promises that if we pursue holiness, joy will come. Happiness is an emotional and physical response to a happening, but the distinction between temporary happiness and the eternal joy that flows from God is what we need to see here. As we live obediently to His Spirit and His Word, we will receive His joy even in stressful situations. He comforts us in rough times and we rejoice in His miracles and extra blessings as we focus on Jesus and follow Him. Furthermore, holiness will prevent us from grieving the Holy Spirit and rendering us powerless. The power of the Holy Spirit enables us to spread the Gospel as He brings people into our life. The Holy Spirit gives us gifts to use for the edification of the Church, and authority to use weapons such as prayer, the Name of Jesus, and His Holy Word to fight against evil. He is our strength when we are weak so that Jesus is glorified! He makes us wholly holy and that creates an exciting life. Jesus, God in the flesh, demonstrated for us what holiness looks like. His life defines it. 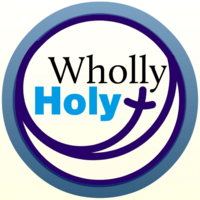 For Jesus, holiness was a continual lifestyle, not an intermittent religious experience. His anger was holy, but so was His joy. He was just as committed to the Father on a fishing boat as He was in the temple. He was the same person at a party with tax collectors and prostitutes as He was when He dined at a Pharisee’s house. His heart was pure when He talked alone with a woman and when He camped out with a group of men. 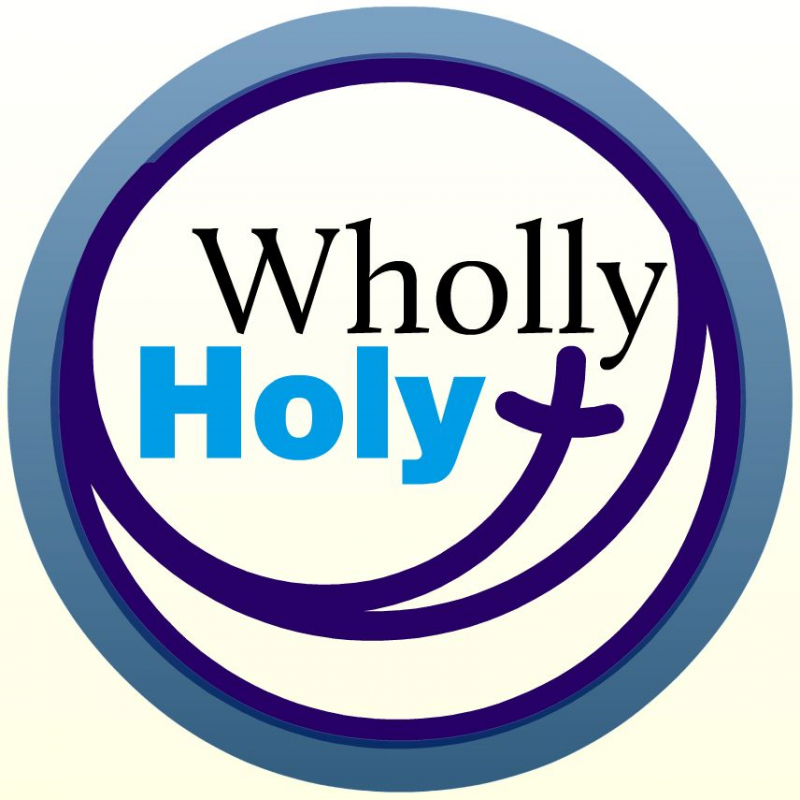 With Jesus as our example and the Holy Spirit as our power, God demands of us the very holiness Jesus exhibited, “Be holy, because I am holy.” Since God is holy, He cannot look on sin with indifference and neither should we. We are called to live lives that fully reflect Jesus’ character. Although the Blood of Jesus Christ has made us holy, that is, purified and set apart for God, God continues to work in us to perfect our holiness, to conform us to the image of Christ--a work to which we are called as co-laborers. It is called sanctification. Rom 6:11-14 In the same way, count yourselves dead to sin but alive to God in Christ Jesus. Therefore do not let sin reign in your mortal body so that you obey its evil desires. Do not offer the parts of your body to sin, as instruments of wickedness, but rather offer yourselves to God, as those who have been brought from death to life; and offer the parts of your body to him as instruments of righteousness. For sin shall not be your master, because you are not under law, but under grace. You can’t get holy in a hurry. It is a process. Sanctification, or the making of saints to look like Jesus, is a process where God develops holiness in us over time as we deny ourselves, take up our cross daily, and follow Jesus. Our Lord’s first requirement is to enter into a covenant relationship with Himself through faith and repentance; then, obedience to His commands, the initial command being baptism. That is just the beginning. Holiness comes out of a love and absolute devotion to Jesus, and that is only possible by receiving the Holy Spirit daily. As we follow Jesus, we are aware of our continual need for repentance and unaware of the holiness He produces in us. God’s Spirit transforms us from one degree of glory to another. He destroys the desire for things of this world and gives us new ways of thinking about life and others. Mark 12:30-32 Love the Lord your God with all your heart and with all your soul and with all your mind and with all your strength.' The second is this: 'Love your neighbor as yourself.' There is no commandment greater than these." This kind of love and holy lifestyle saves marriages as those involved begin to really love and live for one another. This love pardons others, exemplifying the mercy and grace of forgiveness we have received. This love replaces the fear we once had for God before we were saved and didn’t want to go to hell, with an intimate love for Him and a willingness to live to please Him. Secondly, holiness is full dedication to the Word of God. Holiness is not some vague mystical thing. It’s a series of right choices. Holiness requires communion (an intimate relationship) with God, who is the source of holiness. So holiness only comes with full consecration to God, His will, and His Word. If we reject God or His Word, we reject holiness, because He is the source of it. I’m not suggesting that when we fail to connect with God in little ways that we are doomed for hell or a lifelong chastisement. I’m pointing out the importance of staying connected with God, or as Paul put it, setting our mind on the Spirit. Setting our mind on the Spirit gives us the potential to live out holiness. The stronger connection we have to God, the less temptation and sin that is effective against us. Therefore, holiness is full submission to the Holy Spirit and God’s Word. Don Francisco put it this way in one of his songs: Holiness is to hear the Lord and to answer “yes”. Holiness is the only life that the Lord can bless. For the people of God there remains a rest—holiness. Thirdly, holiness is being set apart and living accordingly. We cannot make ourselves holy. We can become holy only through the atonement of Christ and the working of the Holy Spirit in our lives. Through faith, trust, and obedience to the Holy Spirit and the Word of God, we reveal to others the reality of Jesus Christ in our lives. In this way, we lift up Jesus, who is holy, so others will be drawn unto Him. Rom 12:1-2 Therefore, I urge you, brothers, in view of God's mercy, to offer your bodies as living sacrifices, holy and pleasing to God--this is your spiritual act of worship. Do not conform any longer to the pattern of this world, but be transformed by the renewing of your mind. Then you will be able to test and approve what God's will is--his good, pleasing and perfect will. Paul is urging us not to entertain our sinful nature, but to be set free of it with the insight we gain from God’s Word. That renewing of our mind requires us to think differently about what we allow in our lives, what we deem is ok, what we are tolerant of. Since our culture is a rebellious one, we cannot use it as the standard. Our lifestyle will obviously look differently from the culture as we pattern our lives after the Word of God. But this is good. Holiness is putting God’s culture in His Word above human culture. There are blessings to be had in this life if we do this. The media, events, people, places, and activities we engage in must be put against the Word of God, prayer, and sound doctrine so that we are not caught up in worldly things, but that we are caught up with pleasing God instead of man. 2Cor 7:1 Since we have these promises, dear friends, let us purify ourselves from everything that contaminates body and spirit, perfecting holiness out of reverence for God. Holiness is not a burden, but a joy if we are in love. We will pursue holiness if we revere God; we fear Him, we love Him, and want above all other things to please Him. When you love someone, you want to wear the clothes they like and your hair the way they like it, even though it is not the current fashion. Obedience plays a role, but only when it stems from love and devotion, is it an acceptable sacrifice to God. Jesus prayed that we would be one with Him; He in us and us in Him. We are one with Christ only in the manner and measure that we have allowed the Holy Spirit to have His way with us. The evidence of oneness is fruit of the Spirit, which is the fruit of a totally new disposition, the disposition of Christ. The Holy Spirit produces the fruit and makes us wholly holy. We can do anything we want until we become a slave to God; then we only want to please Him. The benefit of this is holiness, which results in eternal life, here and hereafter. We also enjoy an intimate relationship with God which gives us joy, peace, and love. Here are a few more benefits that holiness produces in our lives. •It forces us to take issues of sexual purity seriously. After all, our bodies belong to God because they were purchased with the blood of Jesus. Sexual purity produces stronger and happier marriages, homes, children, and communities. 1Thes 4:3-8 It is God’s will that you should be sanctified: that you should avoid sexual immorality; that each of you should learn to control his own body in a way that is holy and honorable, not in passionate lust like the heathen, who do not know God; and that in this matter no one should wrong his brother or take advantage of him. The Lord will punish men for all such sins, as we have already told you and warned you. For God did not call us to be impure, but to live a holy life. Therefore, he who rejects this instruction does not reject man but God, who gives you his Holy Spirit. •We become better stewards of our resources when we live according to His Word and walk by the Spirit. Since everything we possess was given to us by Jesus Christ, we will manage it according to His standards and His will. As a result, we will have all we need. •Recognizing that God has set us apart for a sacred purpose, we will spend our time on this earth fulfilling that purpose and reaping its rewards. Our goal will be to do as much as we can for Him in the limited time we’ve been given and to prepare ourselves to be His spotless, holy Bride. •Holiness affects our relationship with God and with other people. Truly loving God will naturally lead us to love those created in His image. •Holiness will cause us to show mercy and kindness towards those who are unkind to us, to bless those who curse us, to do good to our enemies. Yes, God is love, but He tolerates no rival. He gives Himself lavishly to us and expects us to lavishly give ourselves to Him. That is what holiness looks like. Isa 35:8 And a highway will be there; it will be called the Way of Holiness. The unclean will not journey on it; it will be for those who walk in that Way; wicked fools will not go about on it. Don’t expect to find many people walking on the Way of Holiness. It is a narrow road and Jesus encouraged us to take it for it leads to eternal life. When we do, every part of our life will come under God’s scrutiny. Every motive will be judged until the only motive we have is love for God and love for others. The holiness God demands is impossible unless we are re-made from within, and that is what Jesus Christ provides through the Atonement. Jesus Christ did not come to tell men they ought to be holy. He came to put us in the position where we can become wholly holy; that is, He came to save us and baptize us with the Holy Spirit, so that what He teaches, we can become. In the Old Covenant, blood was used to purify and make things holy, separated for God’s purpose. Under the New Covenant, the Blood of Jesus Christ purifies us and makes us holy, separated from sin and the world, for God’s purpose. We enter into this New Covenant with God through faith in Jesus Christ, confession of sin, and repentance. Then, we obey His commands, the initial command being baptism, which is death to self. This is the only Way to become holy, separate, set apart for God. Today, you can become holy unto the Lord by repenting of your sin, giving your life to Jesus in baptism, and receiving the Holy Spirit. Jesus says “Come unto Me.” He is the Way of Holiness. By following Jesus, the Holy Spirit continues to change us into the image of Christ, making us holy as He is holy.